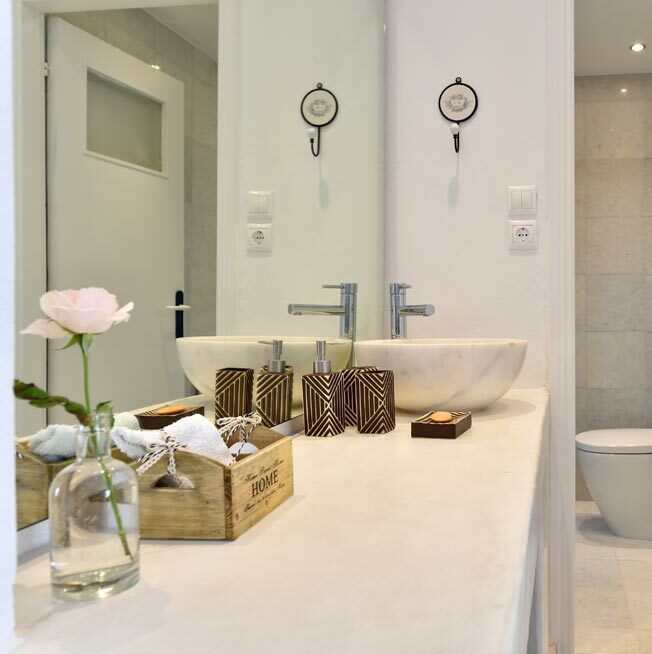 You will love this cosy family apartment, newly renovated & designed for guests who appreciate the minimal Parian style, comfortably accommodating 2 to 3 persons. and great for families with small kids or for 2 friends sharing. 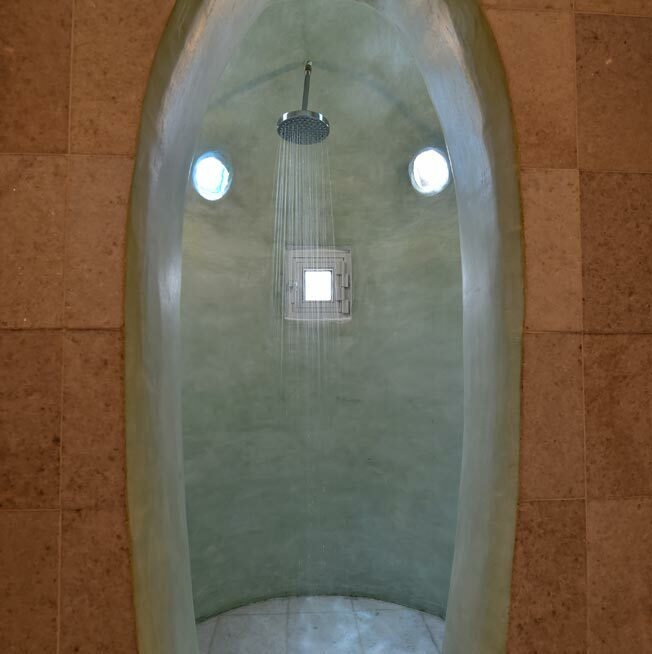 Decorated in muted tones of quite and earthy colors , each with its own marble bathroom and rain shower facilities. 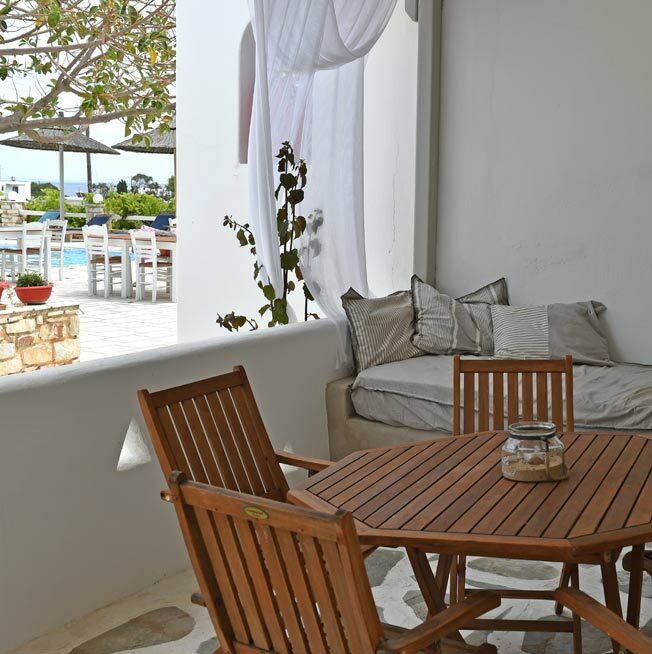 These bungalows are smart, situated behind the main building, they have their own private shadowed large balcony with a day sofa bed and a partial pool view. 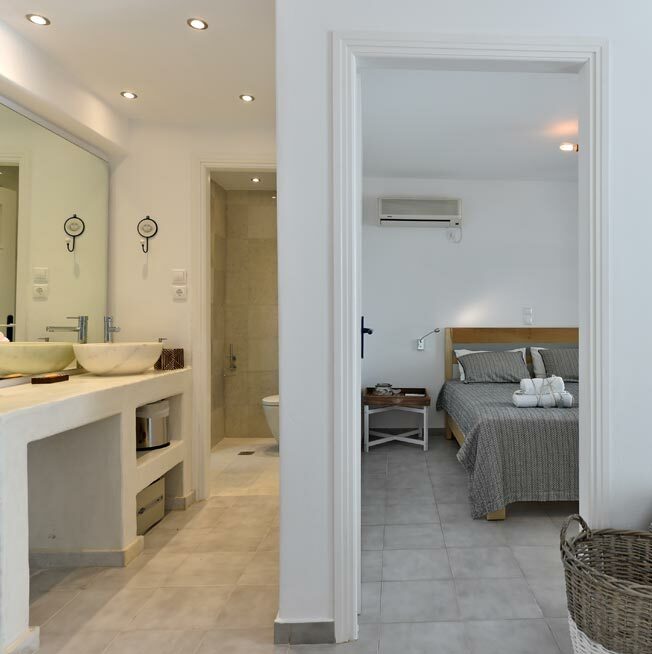 Guests have a choice of two intertwined rooms, with a Queen size bed in the main bedroom and a single one in the entrance room, fitted with premium bedding by Elite Strom, a top quality Greek brand for sleeping systems. Family Apartments are ideal for all periods of time, whether that be a weekend break or a 3 month stay. The small front shadow veranda can be used as an independent separate entrance to the main bedroom, without interrupting the kids who are still sleeping late in the morning. Upon arrival you can ask for a different room from the one you have booked: if that is possible, we will be happy to change it. Ask for a massage, room service and enjoy your stay!